Looking to calculate your organization’s employee turnover rate? 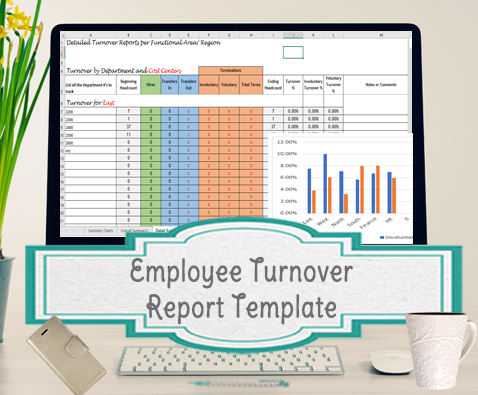 Make it easy on yourself by utilizing this premade template that comes with the turnover formulas already included. 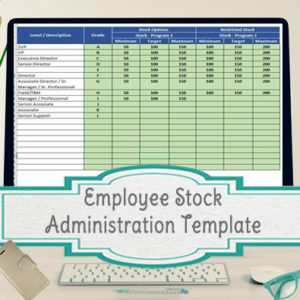 Simply add your employee information into the specified pages and you will see the turnover rates for the areas you need, as well as some charts that are ready to print and present. Specifications ~ This template will work for up to 18,000 employees, but the summary pages are set up to work for 20 regions and/or larger departments, while the detailed summary page can be used for each region to list out more detailed turnover rates per cost center or specific department numbers (up to 20 within the general 20 regions/departments). • Current Employee List – For annual turnover, paste the employee information as of 12/31. For monthly turnover, paste the information as of the last day of the month. • Terminations report – Ideally if you can separate the terminations into 2 files – one for voluntary and another for involuntary, that way the different turnover rates can be considered. Simply copy and paste your reports into the specified pages, add the regions/functional areas and/or cost centers/department numbers (what ever is important for your organization to track) – into the summary page, and the total headcounts will automatically link and calculate your involuntary, voluntary and total turnover rates per area that you choose. 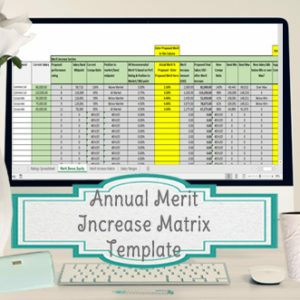 A page with the overall 20 regions/functional areas will also feed into 2 charts that are ready for printing and presenting at your next meeting. 1.) 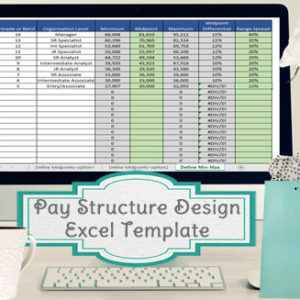 A review page will list out all the departments/cost centers per regions/functional areas – that have a headcount in them based on what is entered for the previous and current employee lists. 2.) The headcount summary pages will have a couple columns to the right that will double check the ending headcount calculated vs. the headcount numbers based on the current employee list, that way you know which areas to double check. 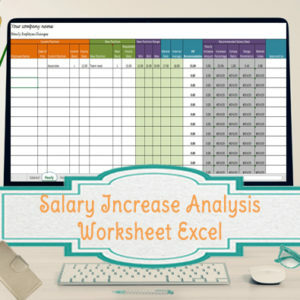 You will receive an Excel spreadsheet, along with PDF directions on how to use the template, via email. Each purchase will come personalized with the company name of your choice. All templates are to be used by the company bought for only and are not to be distributed outside the organization.